The exceptional mediaeval architecture of Besalú has made this town one of the most visited in Catalonia. Many tourist guides feature a photograph of the Pont Vell (Old Bridge), with its typical arches and tower. Besalú is deservingly classified as a national historical-artistic complex, with streets that are full of ancient buildings and landmarks that bear witness to a time when the Jewish and Christian communities lived in harmony. 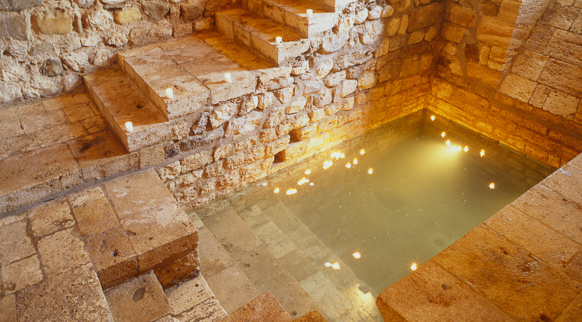 The old Jewish quarter (the call), the synagogue and the Jewish baths intermingle with the monastery of Sant Pere and the churches of Sant Vicenç and Sant Martí. Other must-see landmarks include the old hospital of Sant Julià, the palace of Sant Romà, Carrer Tallaferro, Plaça de la Llibertat. 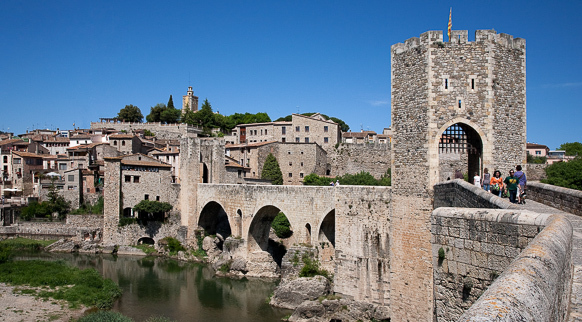 Come and be amazed by Besalú, a wonderful example of historical and cultural conservation.